The Indian startup ecosystem has progressed over time. Today, Indian startups have become an essential part of the economy providing employment to thousands of people. With Indian government readily accepting the important role of entrepreneurs, several initiatives are going in full swing to help the Indian startups ecosystem grow. But this is not how it all began. To understand the Indian startup ecosystem, one needs to go back in history and understand the role of Indian entrepreneurs and their contributions. Without further ado, take a look at past, present and the road ahead for Indian startups. Sabeer Bhatia–A Stanford alumnus, who co-founded Hotmail in 1996 with his friend, Jack Smith.Hotmail is the only other email service provider that once stood ahead of Gmail. Seeing its potential, Microsoft acquired Hotmail in 1998 for $400 million. Vinod Khosla – The co-founder of Sun Microsystems, who later started Khosla Ventures in 2004. He has been a part of many successful startups, including Kaggle, Instacart, Academia.edu, Scribd, DoorDash, Square, Yammer, and more. Vinod Dham–Known as the father of Pentium chipsets, Vinod Dham’s genius shows through his entrepreneurial career. After leaving Intel, he went to work for NexGen and Silicon Spice. Under his leadership, AMD acquired NexGen for a whooping cost of $857 million and Broadcom acquired Silicon Spice for a massive $1.2 billion. The startup ecosystem in India has come a long way. The digitization has helped entrepreneurs along the way and has certainly contributed towards the rate at which startups are being founded these days. Quite recently, the Indian government has also recognized this growing ecosystem with its Digital India initiative. The statistics says it all! Some of India’s most successful startups include Flipkart, Snapdeal, Zomato, Oyo, and more. With more than 4200 successful startups, it is estimated that more than 800 startups are founded each year in India and this number is only growing. Globally, India ranks third as the fastest growing base of startups. 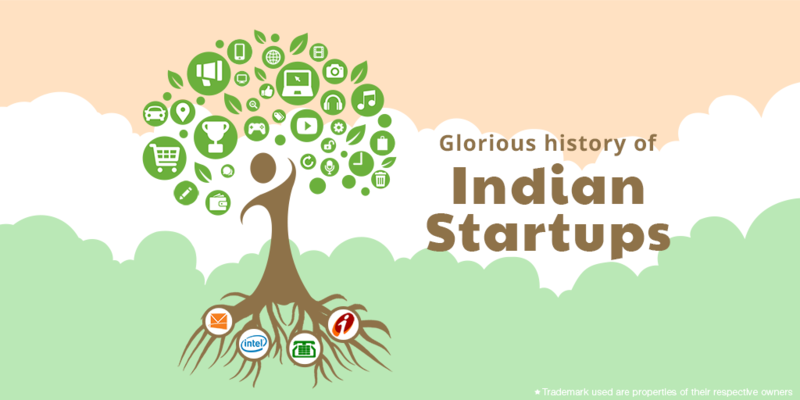 The startup culture in India began years ago with the advent of companies like HCL and TCS. The technology giants of today started a revolution years ago, which made India one of the largest exporters of software. The formation of Videsh Sanchar Nigam Limited (VSNL) and Mahanagar Telephone Nigam Limited (MTNL) in 1986 played an important role in laying the foundation of dotcom era in India. The dotcom saw inception of companies like Info Edge and Rediff. Also, many newspapers went online such as Times of India, The Hindu, and more. The India government launched many online services like e-Seva and Bhoomi. The early 2000s also saw the launch of Irctc.com, which is one of the largest portals for booking railway tickets in the world. After mid-2000s, the Indian startup ecosystem witnessed acquisitions of companies like Bazee, Jobsahead, and more. It was also the time when blogging was in its prime. Statistics show that by 1999, there were only 23 blogs on Internet, but by 2006, the blogosphere expanded and reached 50 million. This led to the beginning of many online magazines that enabled bloggers to earn extra with Google AdSense. The sudden explosion in the number of blogs was caused due to the launch of WordPress and TypePad in 2003. The use of blogging has evolved since then and today it is one of the most common form of content marketing used to create awareness about a brand or product. In the last decade, the Indian startup ecosystem has seen phenomenal growth with the launch of brands like Flipkart, andZomato.Many startups in India have also been acquired by technology giants like, Google and Facebook, which is evidence to the fact that startups in India are doing great work of pushing the technological barrier. The government of India is finally promoting the startup ecosystem with various initiatives like Digital India, Make in India and startup India. With benefits like exemption from tax, funding for startups, and more, the government looks all set to boost the Indian economy and make India emerge as the top player in technology and innovation. However, the first half of 2016 has seen a decline of up to 40% in startup funding than last year. Even after such statistics, India ranks next to USA and UK in the race for having technology-startups. Delhi, Bengaluru and Mumbai are some of Indian cities that have contributed towards landing India among the top three startup-friendly nations while Hyderabad and Chennai are gradually picking up pace. 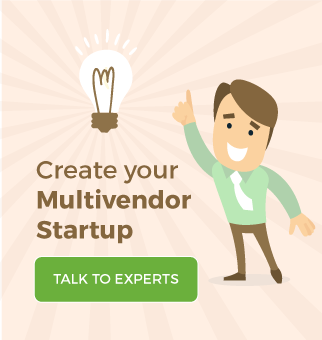 Due to a large number of Internet users in India, entrepreneurs are focusing on startups that bring innovation to the current service industry. On the other hand, due to the presence of ecommerce giants like Flipkart and Amazon, most entrepreneurs are forced to focus on tier 2 and 3 cities. As per statistics, India has a rising number of food-tech and ecommerce startups, which accounts for nearly 40% of total angel investment. The optimist says the glass is half full, the pessimistic says it is half empty. The same holds true for the Indian Startups with regard to their future. The Indian startup ecosystem has its fair share of pluses and minuses. Startups are not like large organizations that have deep pockets. When a startup suffers loss, most of its employees suffer, which is evident in the case of AskMe that led to 4000 people losing their job. The enthusiasm among venture capitalists towards Indian startups is decreasing due to the presence of large number of unsustainable business models. On the other hand, most startups in India, which are based on advance technology such as artificial intelligence, machine learning, and more, are being welcomed by venture capitalists with open arms. India is undoubtedly leading the world forward by pushing the technological barriers with innovation, but with only small percentage of the population using Internet, more should be done to promote digitization across all sectors. Government projects like BharatNet, which aim to provide high-speed internet connectivity to rural India, can help to connect talent with facilities, which modern educational institutions can provide such as online classes and skill development courses. Statistics tell us that Indian startup ecosystem is growing exponentially and the zeal among entrepreneurs shows that the growth rate is not going to slow down. There exists slight margin between technologically advanced startups and need-based startups. But trends show that technologically advanced startups will soon grow in numbers. In other words, the golden age of India is just starting. If summed up in one line, it is the risk and reward state of Indian startup culture where capital-efficient entrepreneurs are bound to sustain and do well and others who will succeed, will be the most innovative and considerate minds that offer sustainable value. This seems to be interesting! Thank you for sharing.